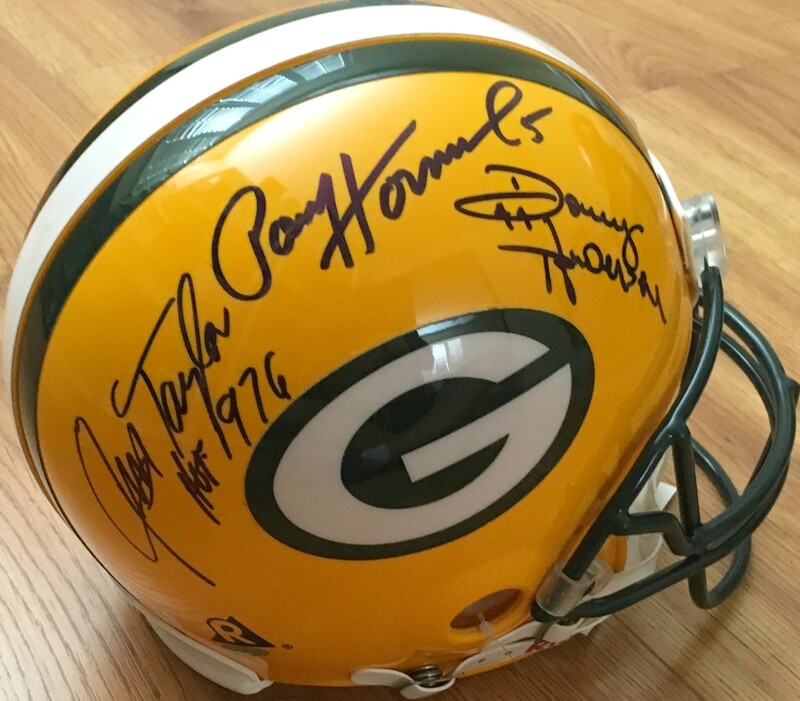 Full size authentic Green Bay Packers Pro Line game model helmet (NOT A REPLICA!) 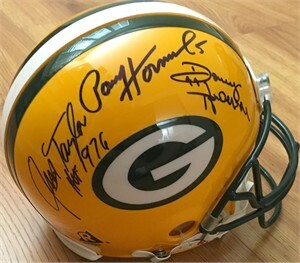 autographed in blue marker by Donny Anderson, Paul Hornung and Jim Taylor, the trio of star running backs that carried the Packers to their dynasty of the 1960s (five NFL titles during the decade). All three autographs obtained in person, with certificate of authenticity from AutographsForSale.com. ONLY ONE AVAILABLE FOR SALE.